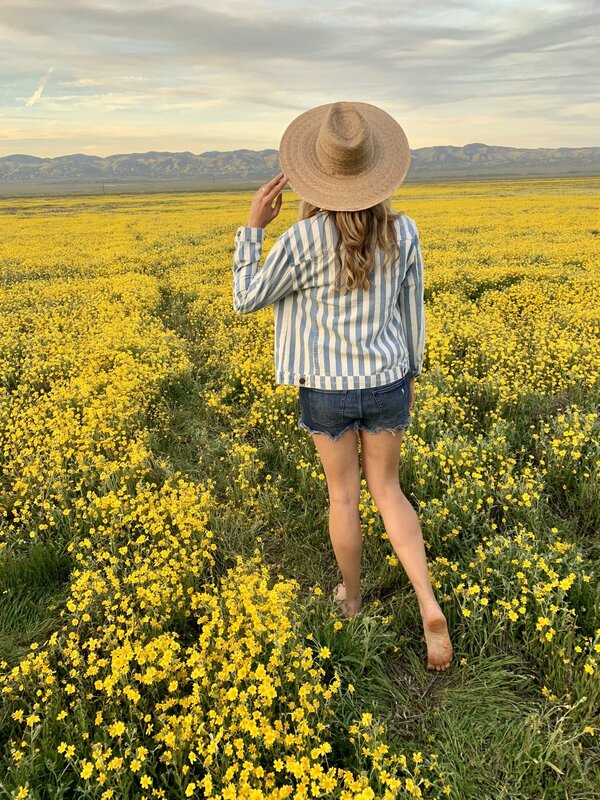 How to have the best Wildflower Adventure day! Where the Heck is Carrizo Plains? The Carizzo Plains National Monument is literally in the middle of nowhere. Actually, it is California’s largest remaining open grasslands. As the crow flies, it is a straight shot up and over the mountains and straight inland from Santa Maria. But since there is no road, you have to go around. Carizzo Plains is around a 2.5 - 3 hour drive from Santa Barbara. 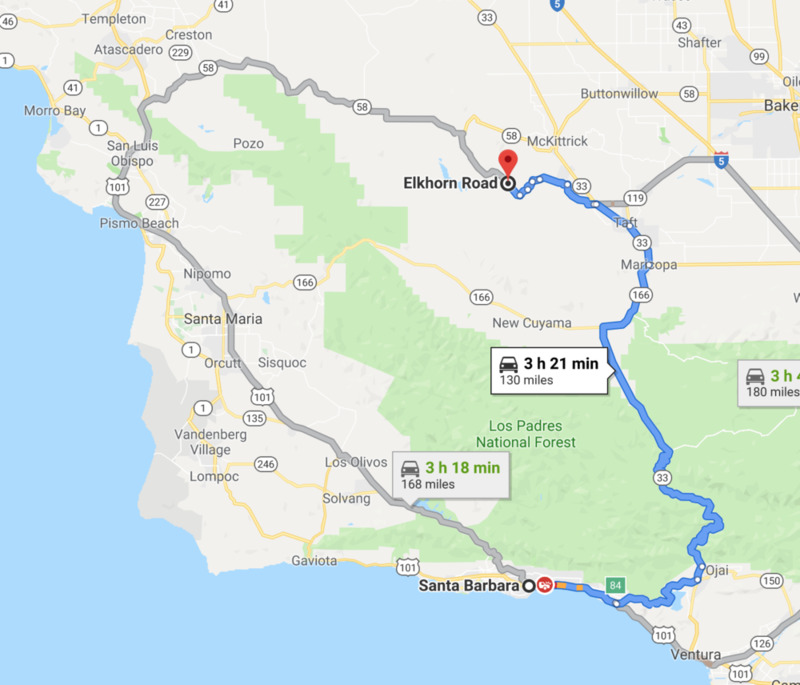 You can travel via Ojai, or via San Luis Obispo and it takes roughly the same amount of time. Right now (and not for much longer) there is a spectacular display of yellow, orange, purple and white wildflowers a.k.a. 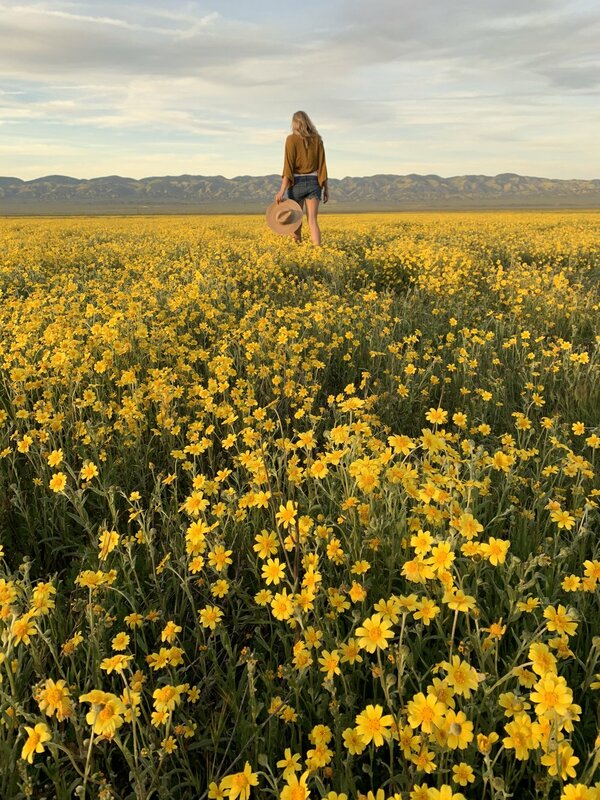 the superbloom you’ve been hearing everyone talk about. 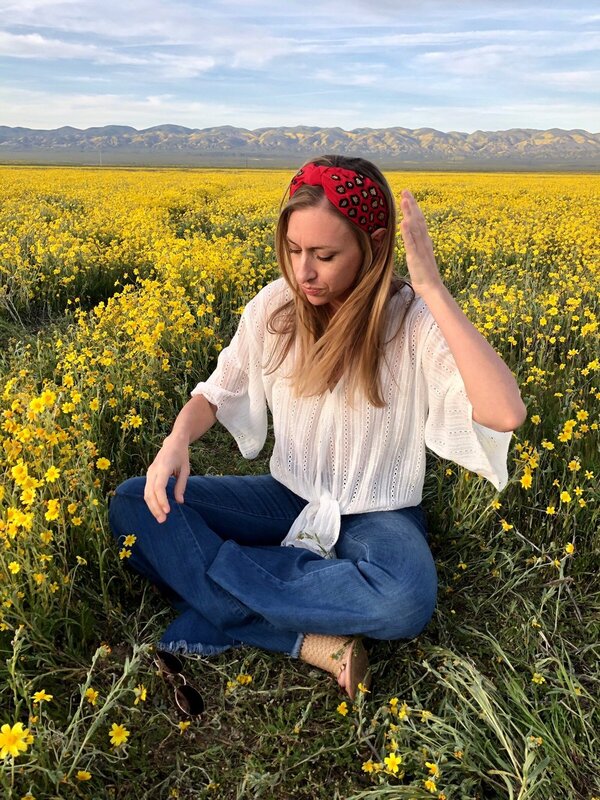 But a superbloom requires some really specific weather patterns to happen, which is why it doesn’t happen every year. 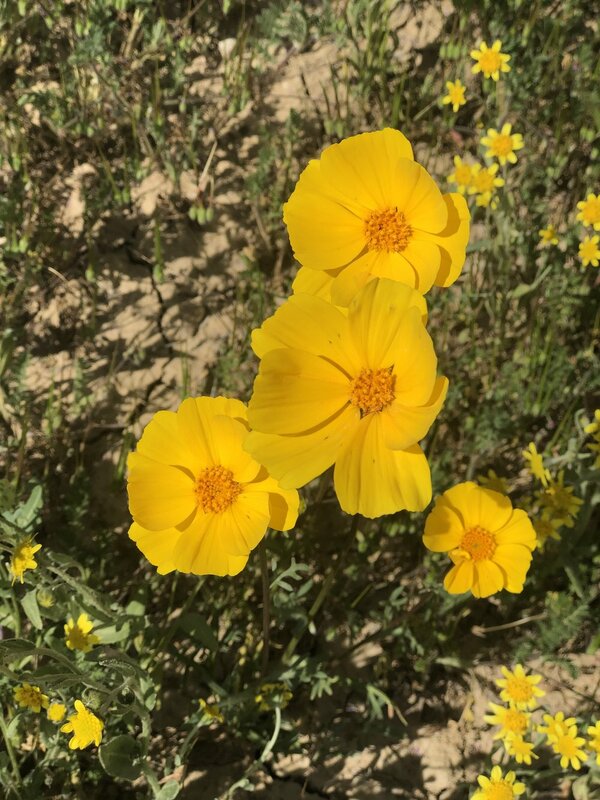 In order to have a super bloom, the summer needs to be dry – otherwise, too much vegetation will choke the germination of seedlings in the Fall. The temperature needs to be just right between September and December when seeds germinate. A triggering rain of at least one inch needs to occur in this window. The Fall rain must be followed by regular but well-spaced showers until the end of March. Spring temperatures need to be warm, but not hot enough to scorch the new seedlings. All of these details contribute to the rare explosion of wildflowers California is currently experiencing! Sunscreen! Because it is wide open prairie land and you gotta protect that gorgeous skin of yours. Lunch and cold drinks for sure. Did we mention it is in the middle of nowhere? Fill up on gas, and be sure to zoom in and out on the area in google maps, because once you’re out there, there’s no service. Hiking shoes. We should also mention a truck or SUV is ideal because there are some dirt roads that can get you closer to the flowers. 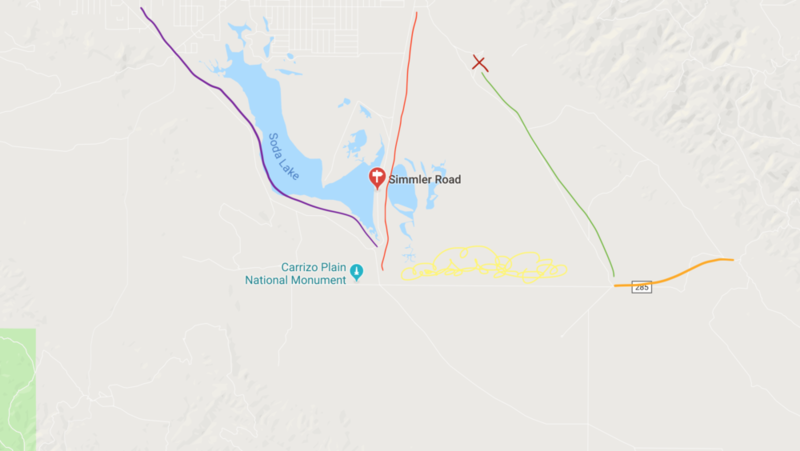 Ok, to get your bearings, type in Carrizo Plains National Monument into google maps. Now type in Elkhorn Road. Now type in Simmler road. This is the area you are going to explore! Start with the temblor range hike. This is the photo you may have seen with hills covered in orange, yellow and purple. It is a short but very steep hike, but just do your best and see how far you get to! Come back and drive to Soda lake, and have lunch surrounded by billions of yellows daisies. A few hours before sunset, the lighting will start to be perfect for some photos in the fields. **remember that everyone should be able to enjoy the unspoiled beauty here. Be mindful of packing out any trash, and don’t trample the flowers. Only walk where pathways have been created. How to be your own super savvy photographer extraordinaire! Around 5:30, and until sunset, the lighting will be perfect for taking pics. Here are a few points to get the best pics! 1.) Where is your light? The photographer should stand with their back to the light, and the model facing the sun. 2.) Wear colors that contrast. Red looks AMAZING in the fields. Details on black clothes will get lost in photos. Don’t try to match the flowers, with orange or yellow clothes, you will blend in, and girl, we want you to stand out! 3.) A sun bag, sunglasses or wide brim hat is a fun touch! 4.) HAVE FUN!!! be free, be silly. Don’t be afraid. You can always delete the photos you don’t like, but you might end up with a magical one in the process.